These safaris worked with the game World of Warcraft by Blizzard. We used this environment for solo work and safari work. It was a nice extention of the "pog" work from Diablo. In addition, work with multiple classes is a good exercise of one's shapeshifting muscles. 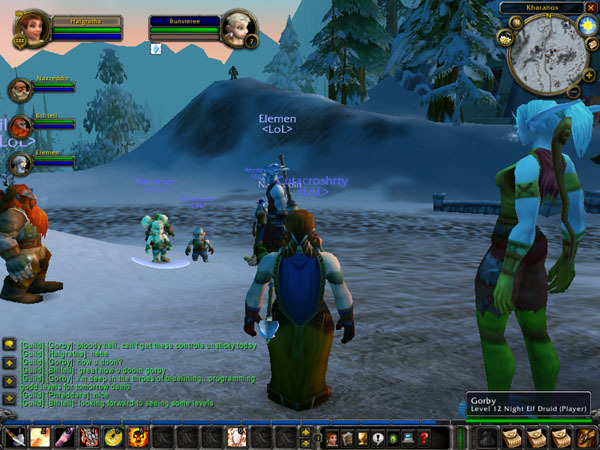 While it is true that we have shifted much of our new work into other gaming environments, we still council several individuals working in the WoW environment. If you are not currently playing WoW, we would suggest investigating some of the other gaming venues available. WoW is a large investment of time and money and if you have not already started down that road there might be more profitable alternatives. If, however, you have already made the investment of time and money into WoW and are actively involved with World of Warcraft there is much you can do in the game to make it into more of a spiritual gaming experience. Feel free to contact us. We'd be happy to work with you in any way we are able. If you are interested in getting started, you can click here to use our contact form.